Creme Ninon with Scallops and Caviar. A creamy and elegant take on the classic French Creme Ninon green pea soup. Saute the shallots in half of the butter in a large sauce pan until soft but not browned. Add the wine and boil until reduced by about a third. Add the vegetable stock and the peas and simmer for 3 minutes. Whip the cream and pour it in an simmer for another 2 minutes. Then Pass through a sieve. To add a bit of elegance – pour a small amount of Champagne into the soup. 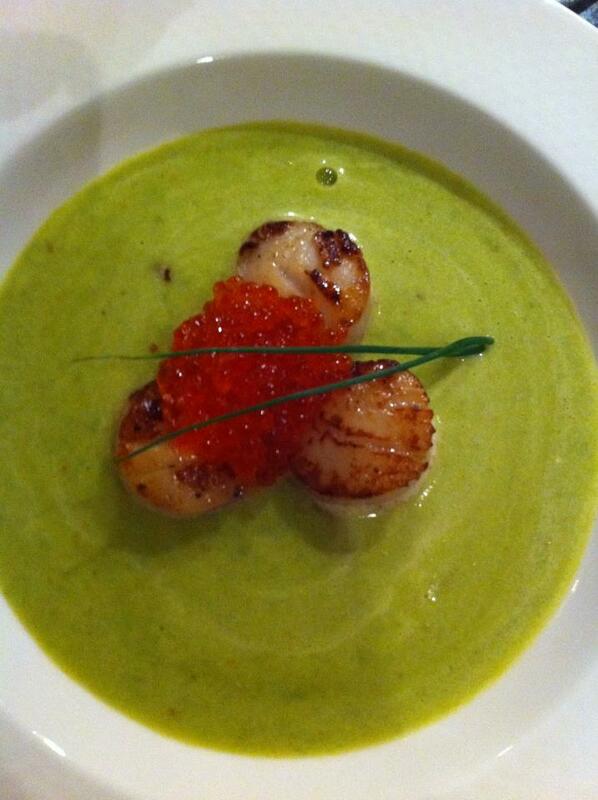 Pan fry the Scallops and add a table spoon of caviar in the soup. be perfect to get the both of you in the Lubby Dubby mood. The ultimate indulgence and the absolute perfect aphrodisiac to get your engine revving. 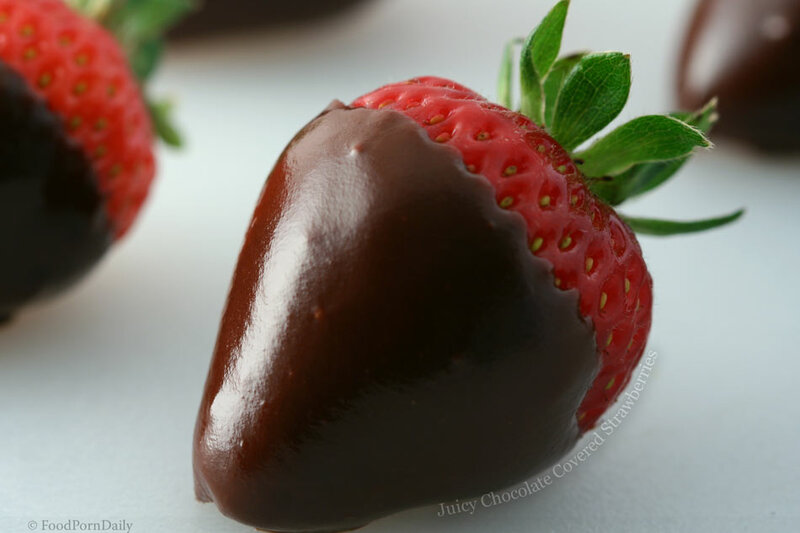 I cannot think of a simpler more sensual delicacy than strawberries dipped in chocolate. First, get fine dark chocolate and some fresh strawberries. Melt the chocolate and let it cool, then dip the strawberries in and swirl. If you want to take it to another division, cover the chocolate strawberries in coconut.